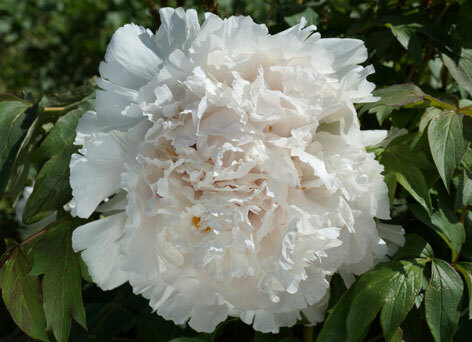 Stunning large double white flowers, dark purple flares buried within. Mild tendency to bend stems when fully open, but readily forgiven when seen and even less of an issue after the bush grows for several years. Up to 300 mm (1 foot) in diameter.